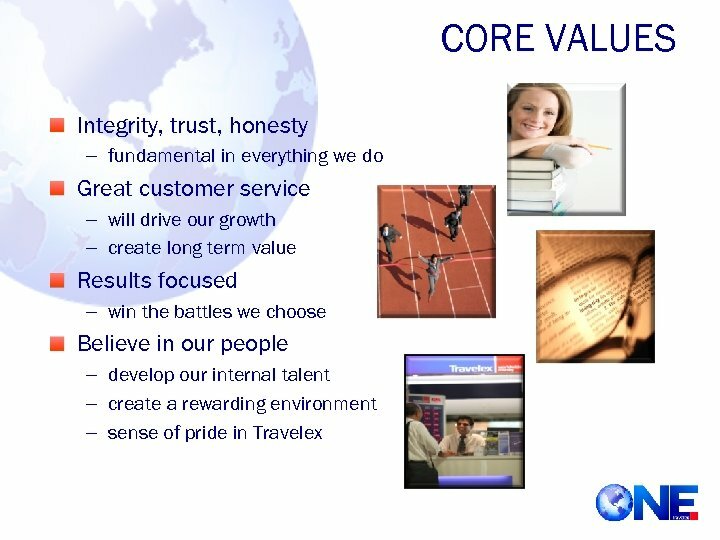 WHO WE ARE Travelex is the world’s leading foreign exchange specialist. 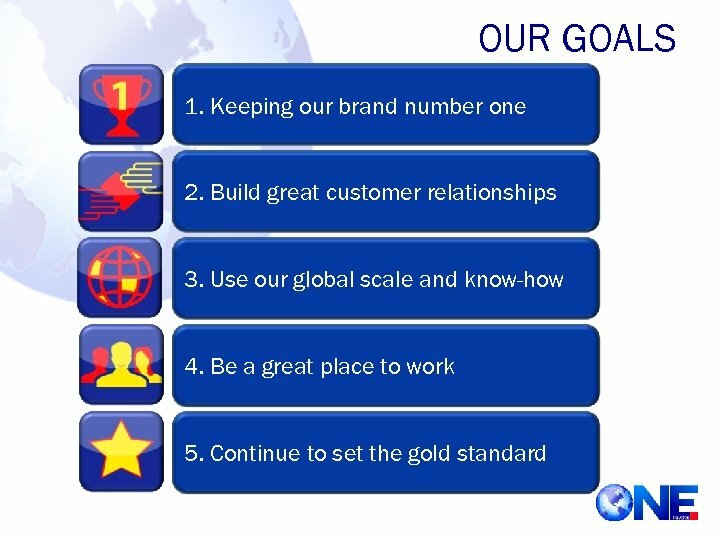 We help our customers to send and spend money around the world. 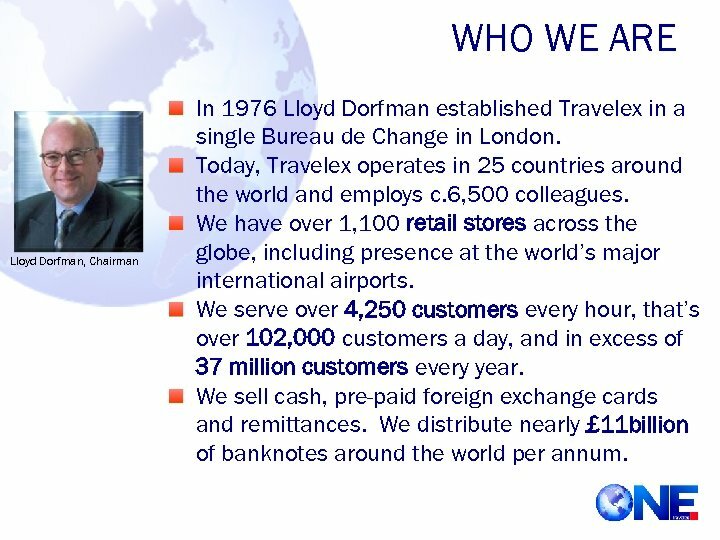 WHO WE ARE Lloyd Dorfman, Chairman In 1976 Lloyd Dorfman established Travelex in a single Bureau de Change in London. 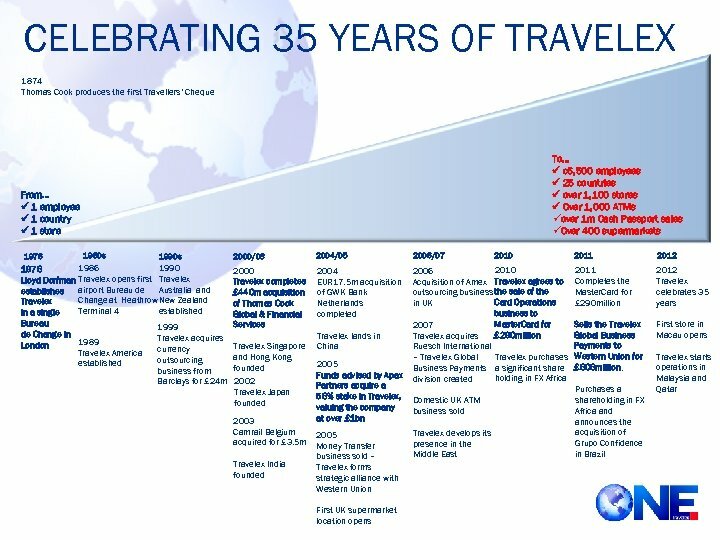 Today, Travelex operates in 25 countries around the world and employs c. 6, 500 colleagues. 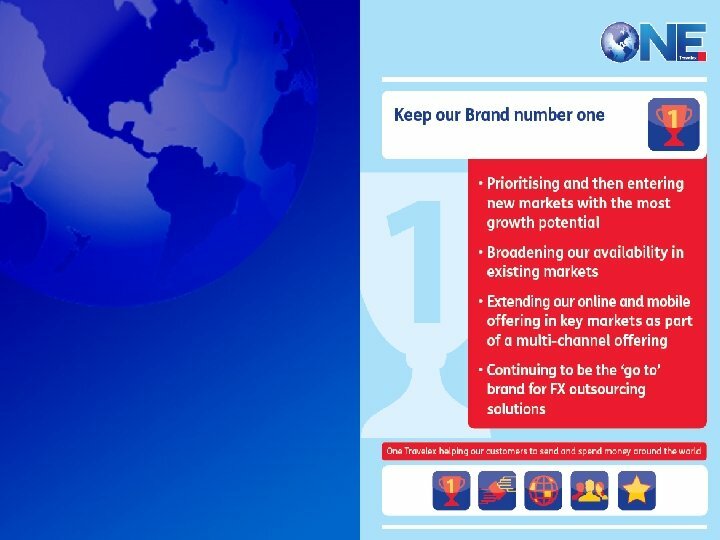 We have over 1, 100 retail stores across the globe, including presence at the world’s major international airports. We serve over 4, 250 customers every hour, that’s over 102, 000 customers a day, and in excess of 37 million customers every year. 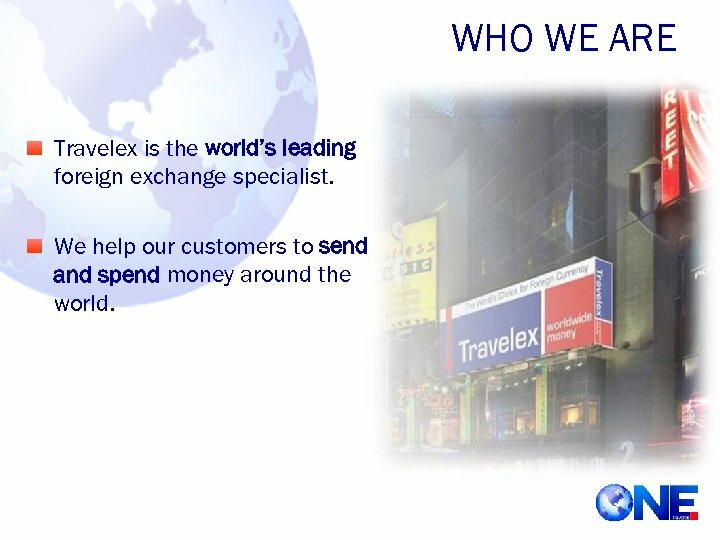 We sell cash, pre-paid foreign exchange cards and remittances. 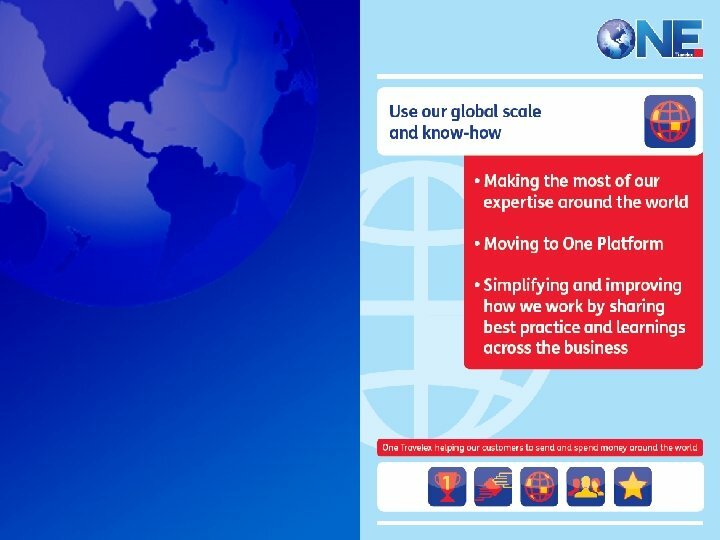 We distribute nearly £ 11 billion of banknotes around the world per annum. 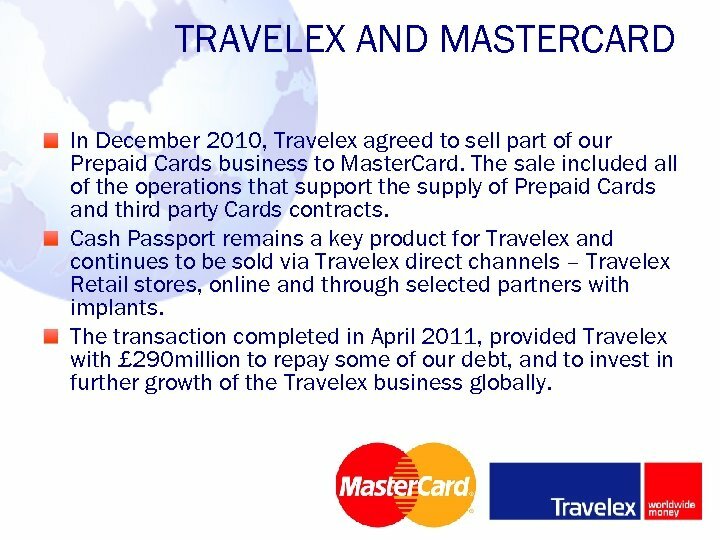 TRAVELEX AND MASTERCARD In December 2010, Travelex agreed to sell part of our Prepaid Cards business to Master. Card. The sale included all of the operations that support the supply of Prepaid Cards and third party Cards contracts. Cash Passport remains a key product for Travelex and continues to be sold via Travelex direct channels – Travelex Retail stores, online and through selected partners with implants. 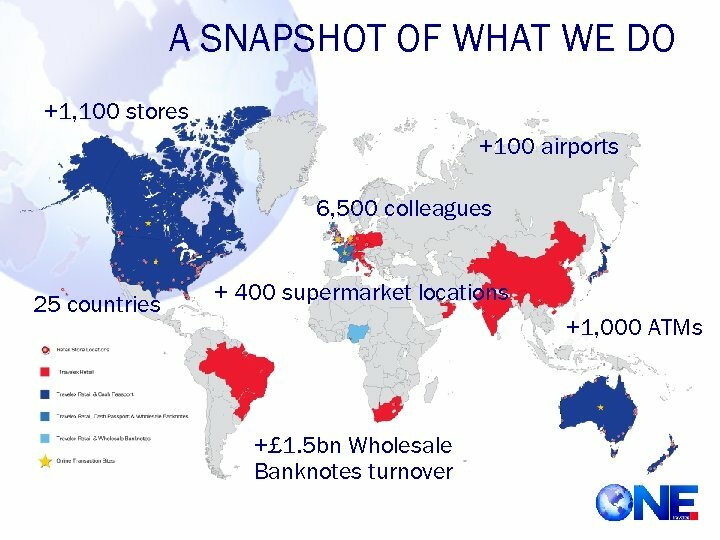 The transaction completed in April 2011, provided Travelex with £ 290 million to repay some of our debt, and to invest in further growth of the Travelex business globally. 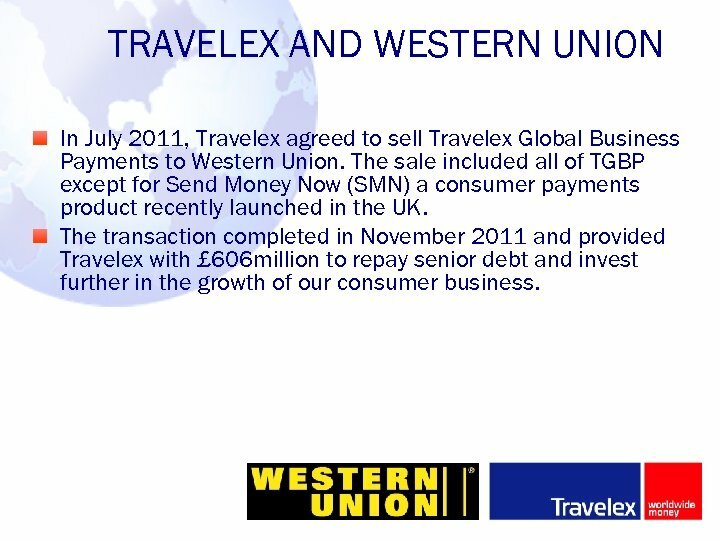 TRAVELEX AND WESTERN UNION In July 2011, Travelex agreed to sell Travelex Global Business Payments to Western Union. The sale included all of TGBP except for Send Money Now (SMN) a consumer payments product recently launched in the UK. 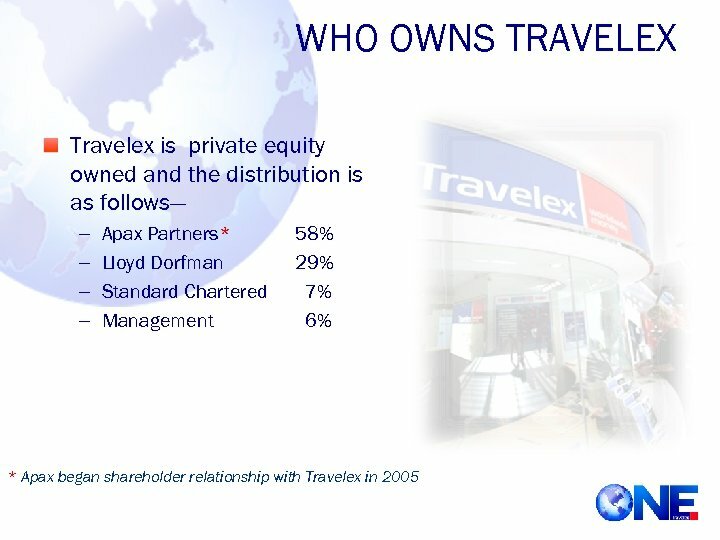 The transaction completed in November 2011 and provided Travelex with £ 606 million to repay senior debt and invest further in the growth of our consumer business. 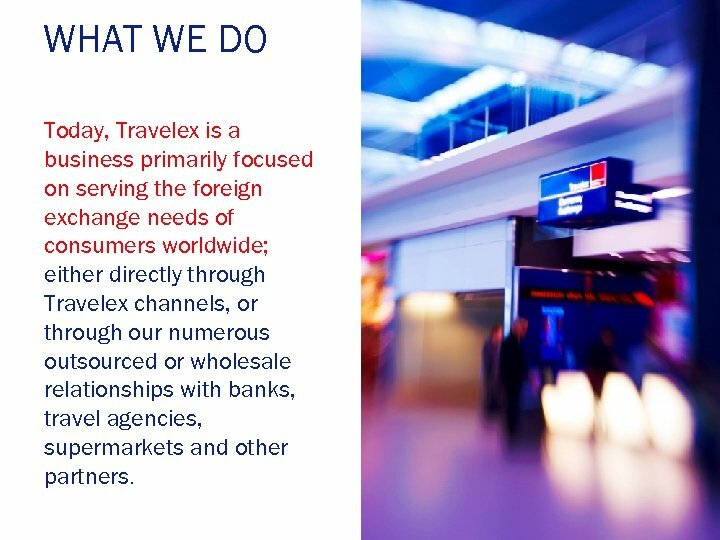 WHAT WE DO Today, Travelex is a business primarily focused on serving the foreign exchange needs of consumers worldwide; either directly through Travelex channels, or through our numerous outsourced or wholesale relationships with banks, travel agencies, supermarkets and other partners. 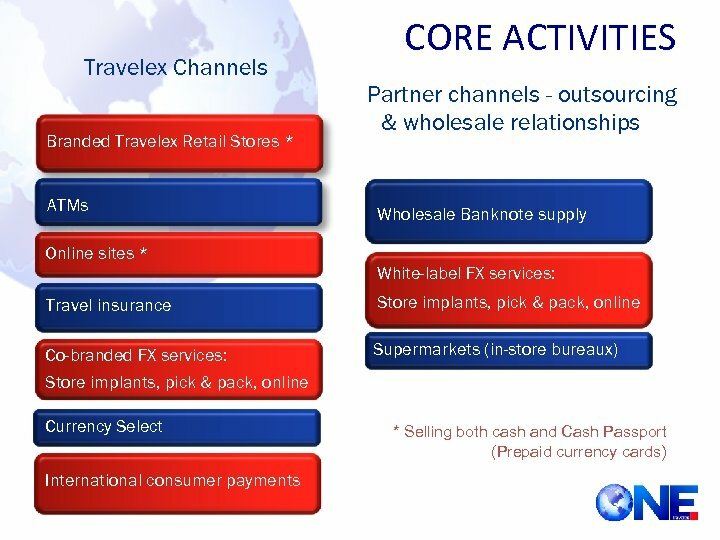 CORE ACTIVITIES 40% of the world’s travellers pass through airports serviced by the Travelex retail network; a market of 1. 7 billion passengers a year. 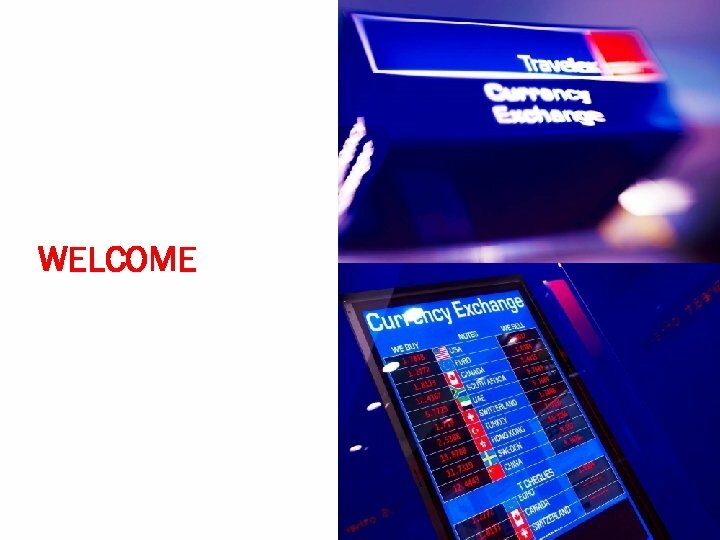 Every hour, Travelex provides currency to more than 4, 250 customers via its Retail network. A strong retail presence in ‘downtown’ locations including rail stations, tourist areas, shopping malls, and implants in banks, travel agencies, supermarkets and post offices. 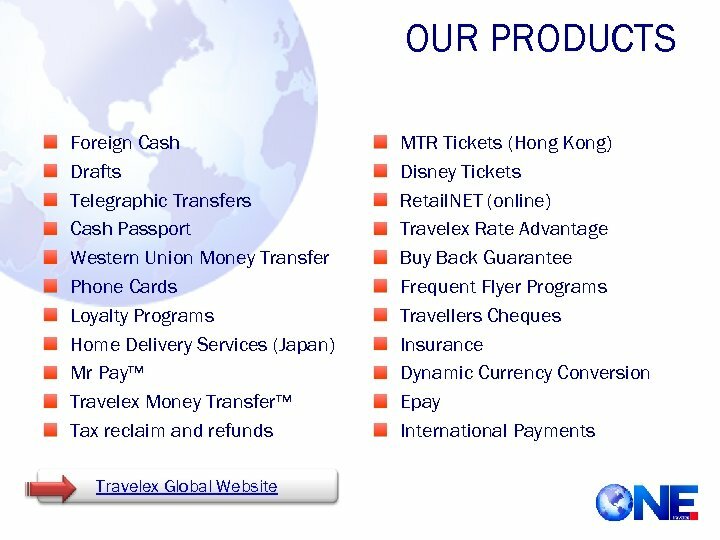 Retail network sells foreign currency, Cash Passport, Western Union money transfer, travellers’ cheques and many local services. 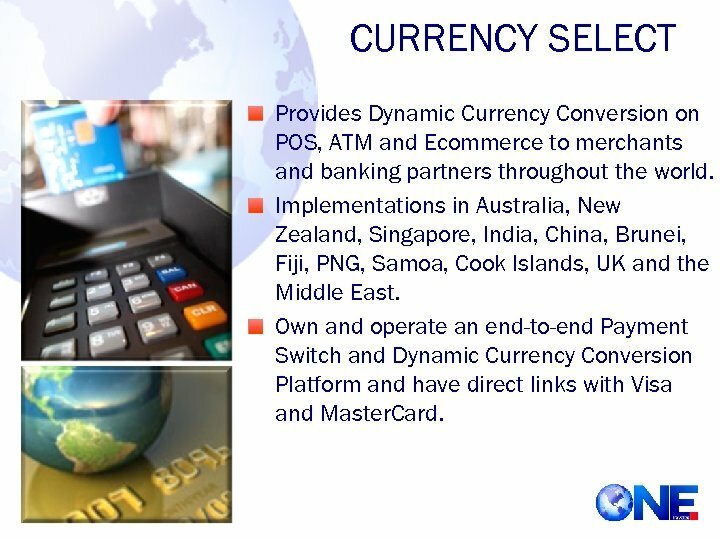 CURRENCY SELECT Provides Dynamic Currency Conversion on POS, ATM and Ecommerce to merchants and banking partners throughout the world. Implementations in Australia, New Zealand, Singapore, India, China, Brunei, Fiji, PNG, Samoa, Cook Islands, UK and the Middle East. 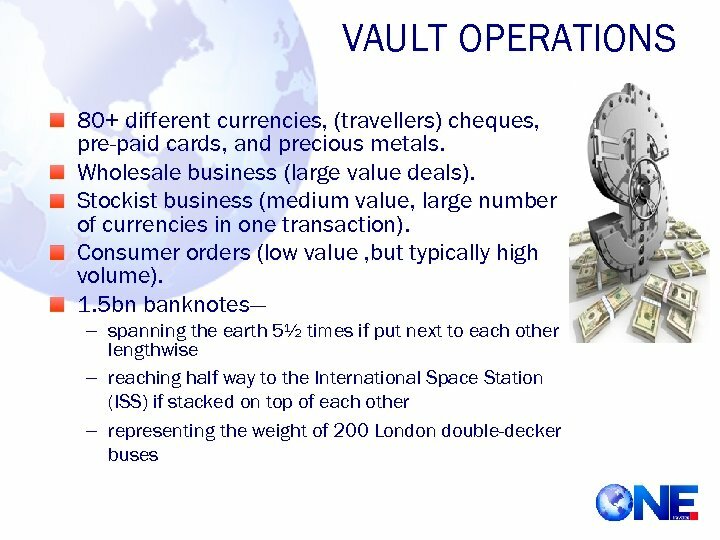 Own and operate an end-to-end Payment Switch and Dynamic Currency Conversion Platform and have direct links with Visa and Master. Card. 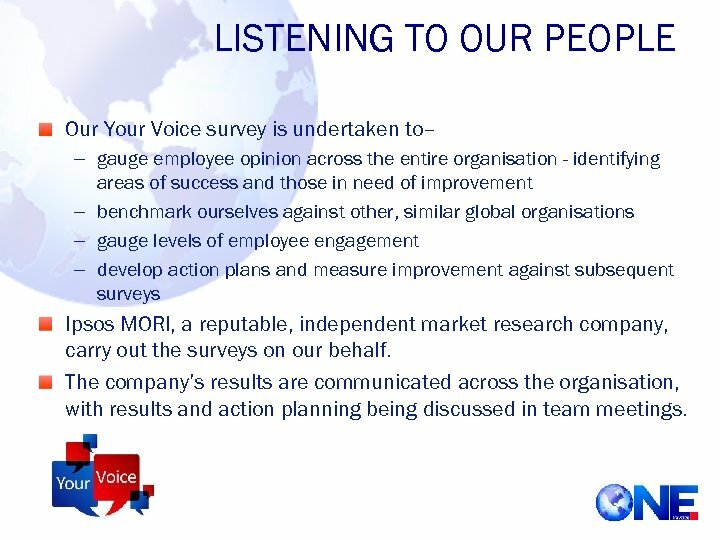 LISTENING TO OUR PEOPLE Our Your Voice survey is undertaken to– – gauge employee opinion across the entire organisation - identifying areas of success and those in need of improvement – benchmark ourselves against other, similar global organisations – gauge levels of employee engagement – develop action plans and measure improvement against subsequent surveys Ipsos MORI, a reputable, independent market research company, carry out the surveys on our behalf. 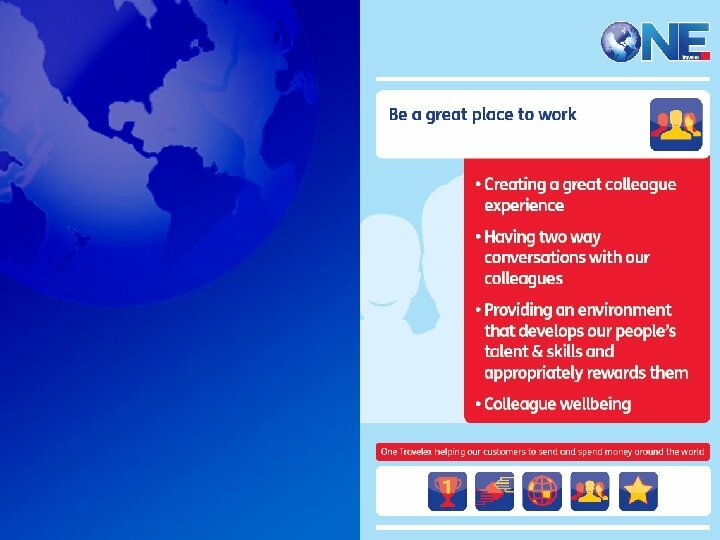 The company’s results are communicated across the organisation, with results and action planning being discussed in team meetings.